One of the common health and safety risks within workplaces come from slip and trip hazards. Slips can be caused by wet floors, unseen spillages and leaks. It is vital to keep workplace floors thoroughly and regularly cleaned to prevent such slips and related injuries from occurring. Manual scrubbing and mopping is not only time consuming but can be less effective and can in itself present health and safety risks in terms of posture and repetitive strain injuries. 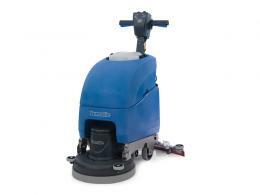 The floor scrubbing machines offered by The Workplace Depot will reduce the time needed to keep floors clean and will save your employees from the arduous task of cleaning manually. Another great benefit of the floor scrubbing machines we offer is their effectiveness and ability to produce the same finish throughout so customers and visitors are bound to be impressed by your shiny, clean floors!Our range of floor scrubbing machines incorporate high end to lower budget models so we are confident we have the right machine for you and your floor. 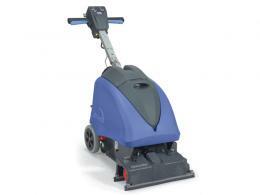 The Nupower range floor scrubber is a 230rpm model and its range is an impressive 32m. 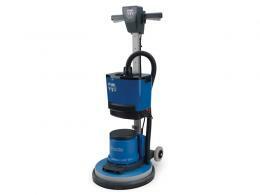 Its highly competitive price makes it suitable for the smaller workplace. 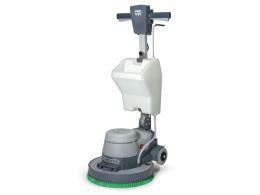 Mid-range, one of the machines we offer is the Tt-455os floor scrubber. As it is battery powered you are not limited to using within range of a plug socket and the lack of a lead is also a health and safety benefit, as there is no associated trip hazard. 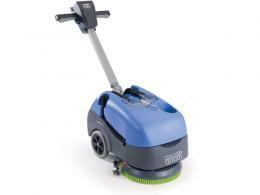 The Twintec Vario floor scrubber is at the very top end of the range. 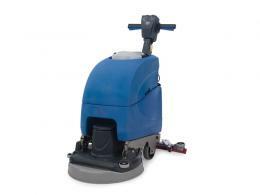 As a ride-on floor scrubber, it is great for large workplaces and will ensure a spotless finish time and time again.